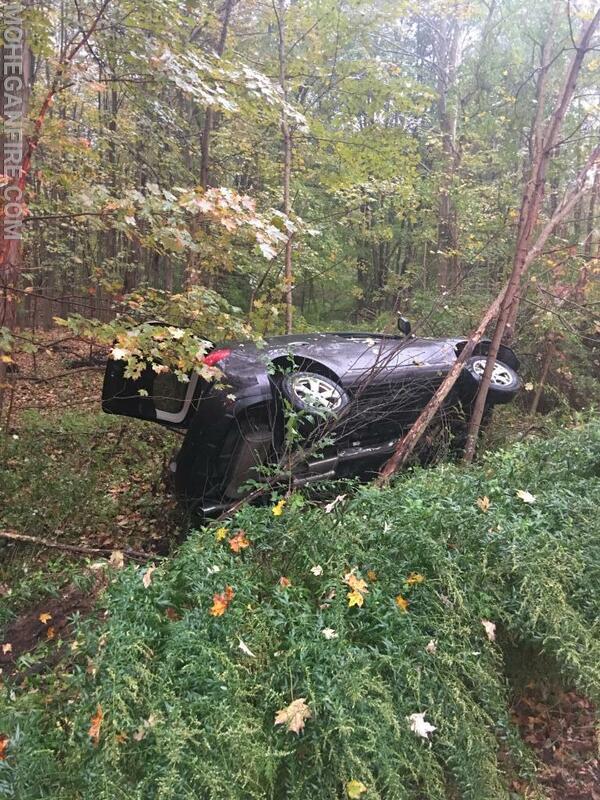 On Monday morning 10/15/18 at approximately 8:10am, Mohegan FD Car 2268 came upon a one car motor vehicle accident with injuries on Old Yorktown Rd (Rt 132) between Strang Blvd and London Rd in Yorktown. 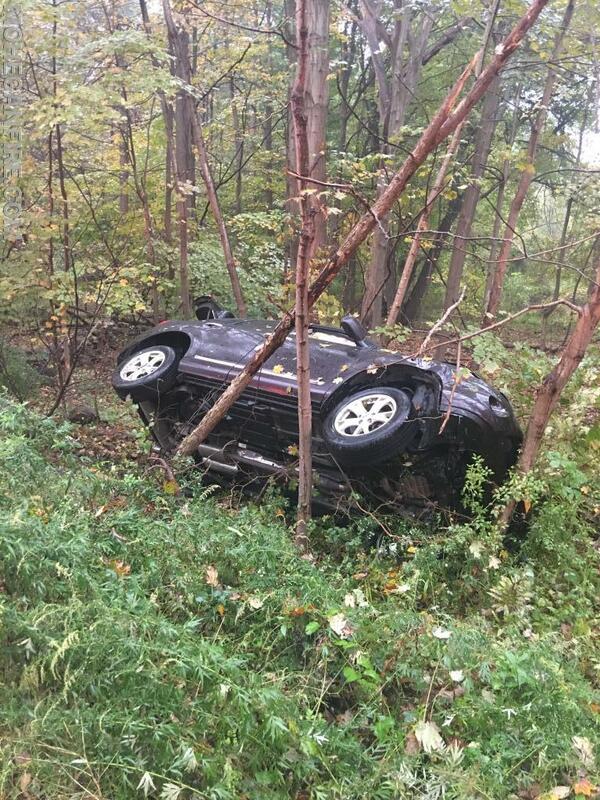 The vehicle was found resting on its side into the woods with the occupant self extricated. 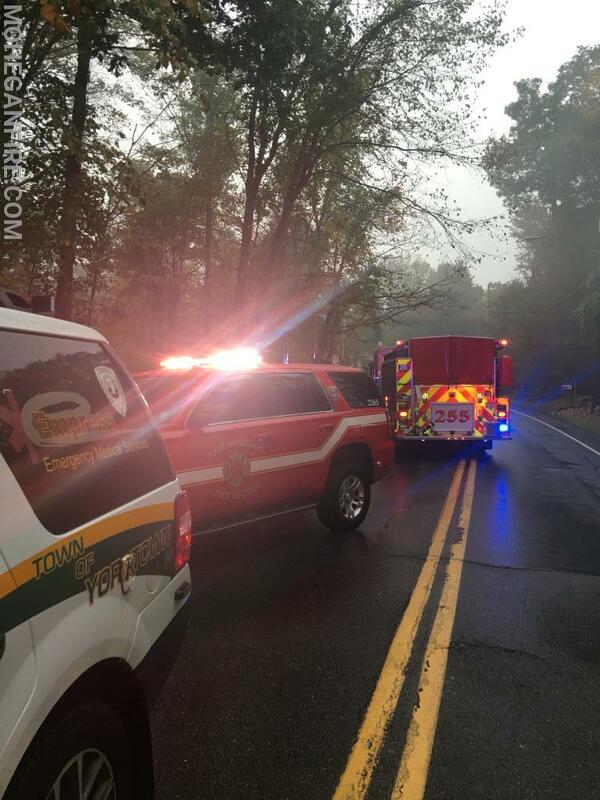 With this, Mohegan FD, Mohegan EMS, Yorktown/Empress Emergency Medical Services Paramedics, and Yorktown Police Department were immediately dispatched. 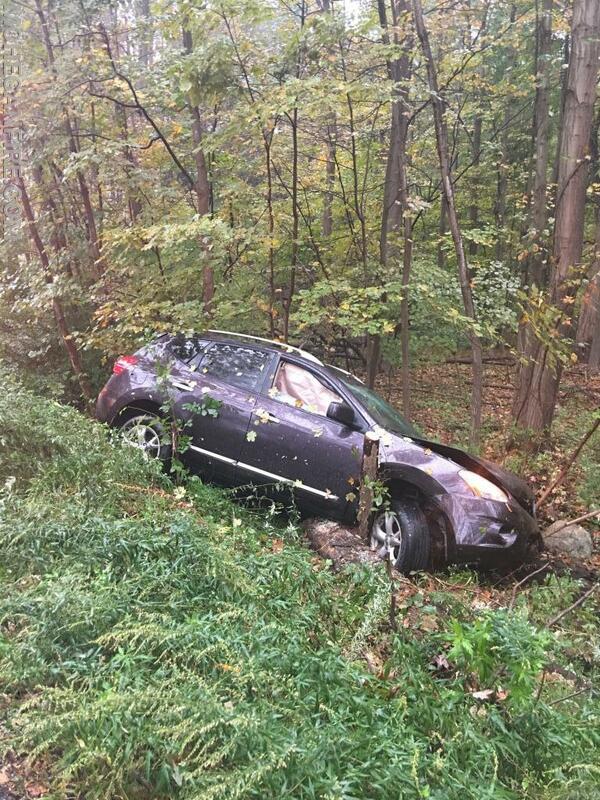 The sole occupant was transported by Mohegan EMS 69B3 to New York-Presbyterian Hudson Valley Hospital for evaluation. 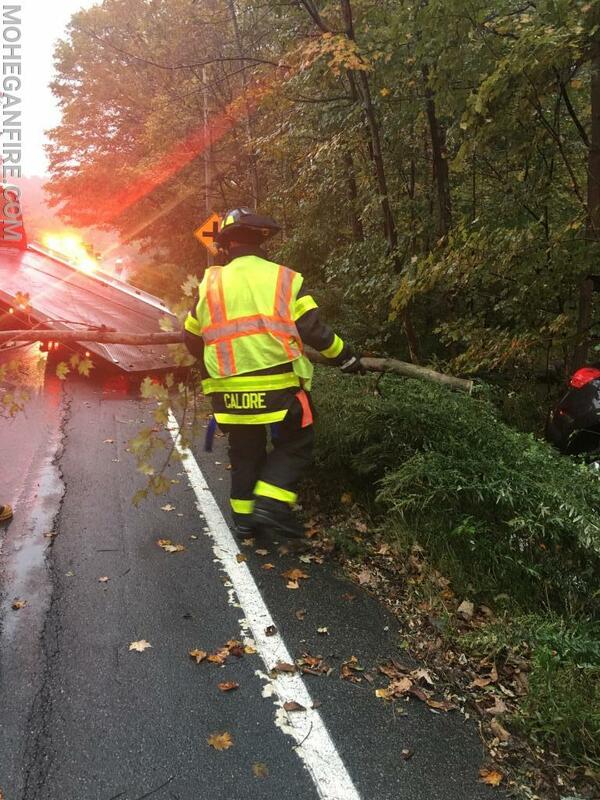 Mohegan FD assisted with the road closure and utilized a chain saw to remove a few trees to allow the tow company to remove the vehicle from the woods. 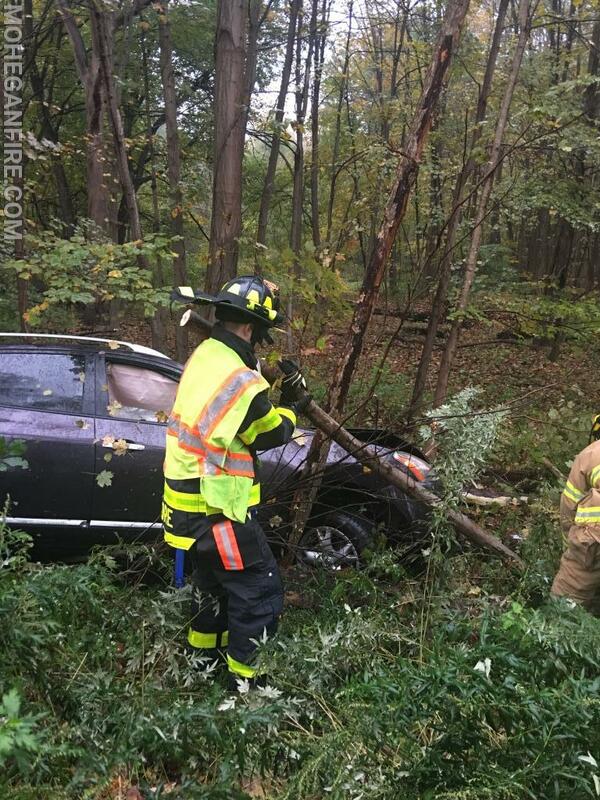 Mohegan Fire units on scene were Car 2263, 2268, 2269, Engine 252, Engine 255, and Rescue 32. 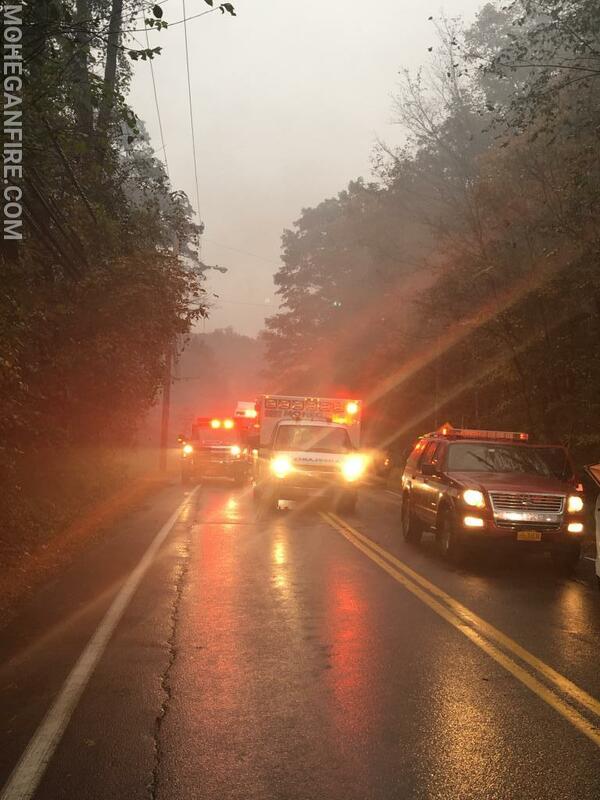 All units cleared the scene at approximately 9:15am.